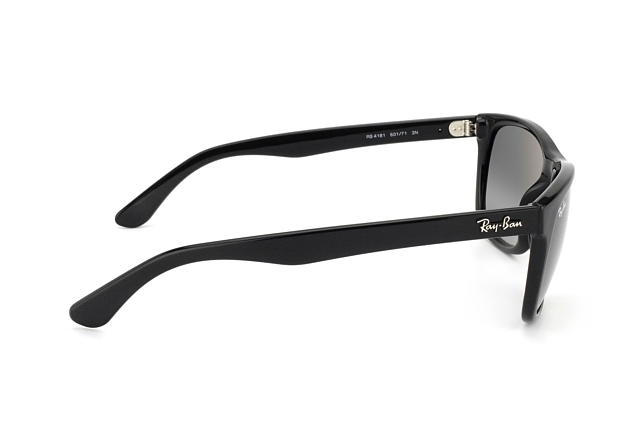 The RB 4181 601/71 sunglasses for men from Ray-Ban are at once classic, modern and hip. The elegant black plastic frame with its curved form skilfully emphasises the eyes. 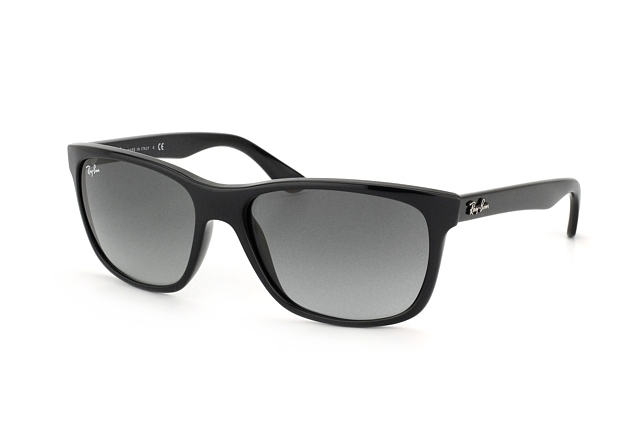 The trapezoid grey gradient lenses are made of mineral glass and so are more scratch-resistant. 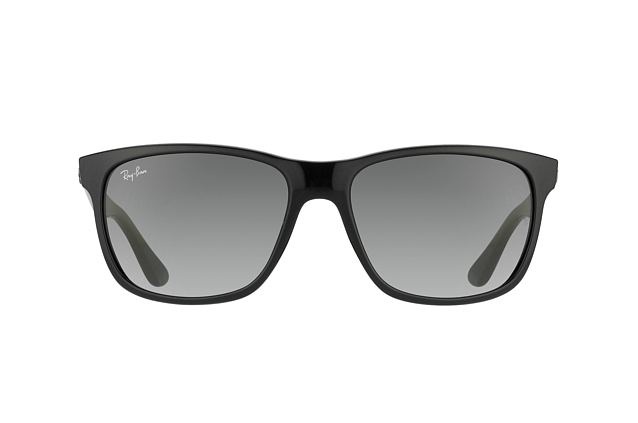 The black temples, with the famous Ray-Ban logo on the side, are formed to fit to the curvature of the ear and provide high wearing comfort.